Get into that awesome first year by upgrading your skills. Learn in an engaging, supportive classroom. Looking to upgrade your skills? 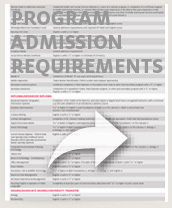 Want to get into that awesome first-year course or program? Improve subject understanding, study skills and complete prerequisite courses such as biology, chemistry, English, math and physics along with college success, computer sciences and social studies. All high school levels are available. We offer 80 fully accredited courses. Our classrooms are supportive and respectful, and our instructors are committed to your success. Jump start your life with Academic Upgrading. Upgrading courses are tuition free; the BC government funds Adult Basic Education. You can also apply for the Adult Upgrading Grant (AUG), a government grant to help you cover any additional costs of returning to school. It can help with transportation, unsubsidized daycare, and the cost of supplies and student fees. Limited summer course offerings in Castlegar. Talk to an instructor for details. You can take just one course or design a program to meet your needs. Academic Upgrading can help you complete prerequisite courses for entry into college or university, or to complete the BC Adult Graduation Diploma, the "Adult Dogwood." Lecture and independent learning format is offered 4-5 days per week including nights at all campuses and learning centres. To get started, call or email Kristin Knutson to find out how Academic Upgrading can work for you. Drop in to the campus in your community. Upgrading staff meets with all new students to help you register, fill out forms and answer any questions you may have. You can meet with an instructor to assess your present skill level and get help to decide which courses will meet your needs. • In Castlegar, contact Jim Leitch or Stephen Seaborn. • In Grand Forks, contact Spencer Tracy. • In Kaslo, contact Jenn Lucke. • In Nakusp, contact Nathaniel Howard. • In Nelson, contact Marianne Batty. • In Trail, contact Marissa Carrasco.